In a world that offers a plethora of mass produced jewelry, The Spring Moon, a recently launched online etsy store, has completely turned the idea of mass production on its head. Each carefully created item in this shop is a piece of art – unique, handcrafted and with a story of its own. 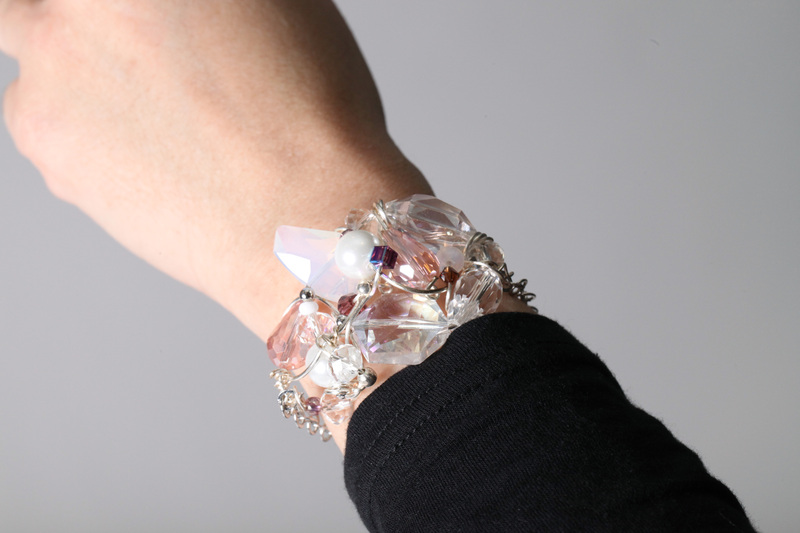 The jewelry here is created from found objects and recycled metals which are combined with Swarovski crystals, freshwater pearls and semi precious stones and iridescent shells. These are then bound together with copper and stainless steel wire to create stunning pieces of edgy, Avant Garde and wearable art. 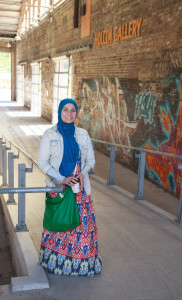 The founder of The Spring Moon, Farheen Ali, is a Toronto based artist and illustrator. A medical and scientific illustrator by profession she had always been intrigued by organic forms and colours that exist in nature. Her training in landscape watercolour and Japanese sumie-e painting further inspired her to pay careful attention to natural shapes that exist in our world and to create them with simplicity of a few brushstrokes and colours. 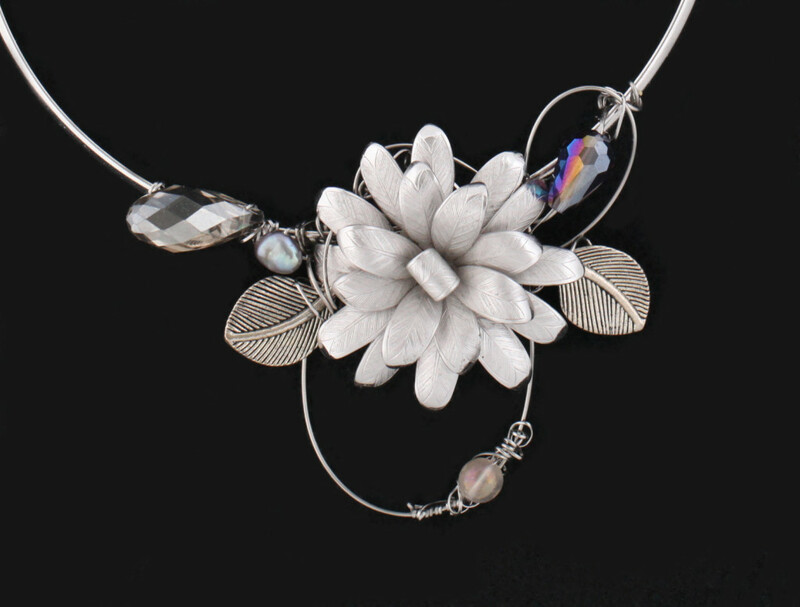 So it was no surprise when 4 years ago she started experimenting with wire wrapped jewelry and to her delight, discovered an art form which allowed her to indulge in her love for organic shapes not just on a flat surface but now in 3D as well. Instead of paints, she was now able to work with a palette of unique beads and crystals and create art that was not just beautiful but functional and told it’s own unique story. The goal of The Spring Moon is to create bold jewelry which makes a statement and reflects the resilience of women who, like these pieces, combine the beauty of crystals and pearls with the strength of metal and steel. 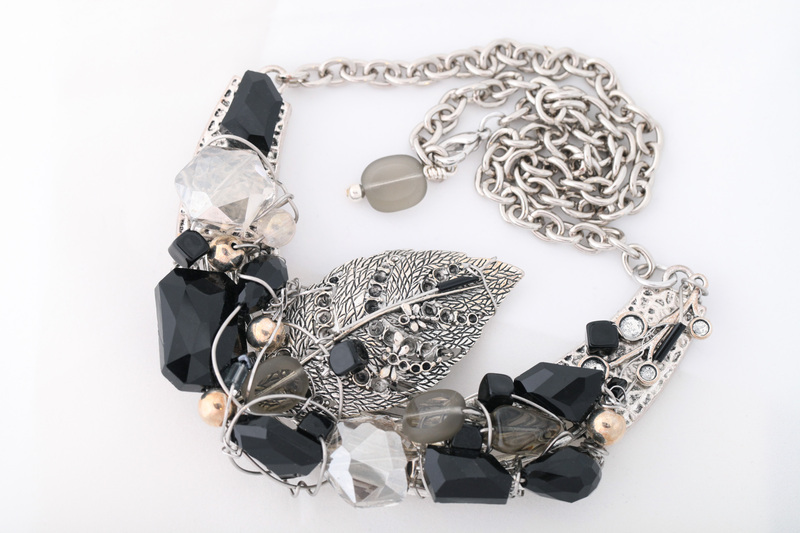 The company also takes pride in using locally sourced materials to create this art jewelry. For example the upcoming summer collection is going to feature sea glass which was handpicked from the beaches of Atlantic Canada and celebrates the beauty of the East coast. 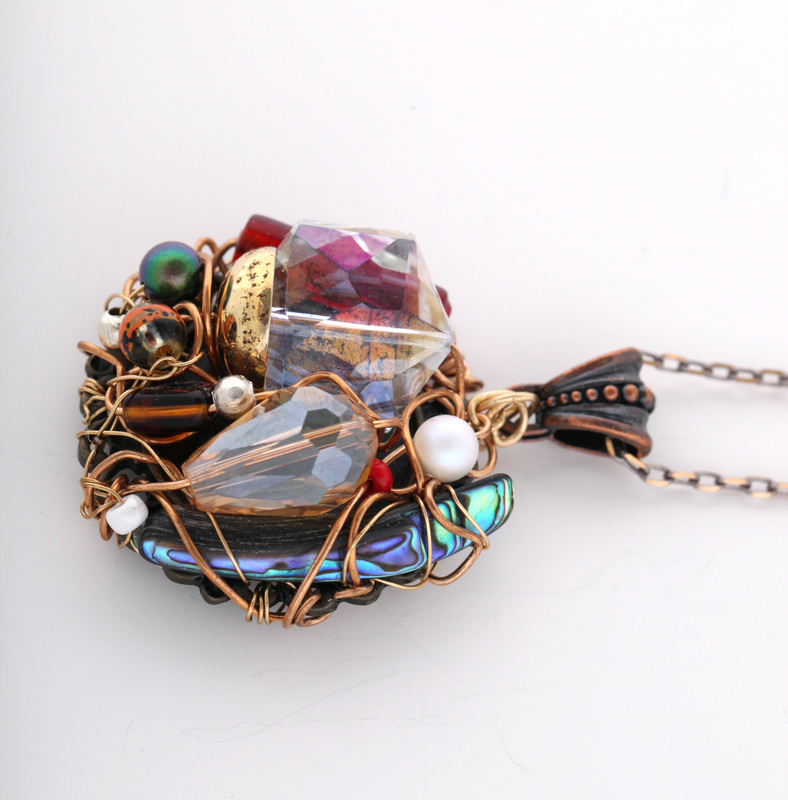 Shell entwined with jewels in an artistic swirl. The name “The Spring Moon” was a name given to Farheen by her Japanese sumi-e instructor upon the completion of a 5 year long apprenticeship with him. At the end of the training he carved this name into a seal which she now uses as a signature to stamp all her paintings. By giving this name to her etsy shop, it is her hope that she can make all who come to the shop a part of her ongoing creative journey as she continues to experiment and create pieces of art inspired by nature and which celebrate all women, allowing each one to tell their own unique story.